This country profile provides an overview of the Central African Republic’s progress in reaching those in need of mass NTD treatment based on 2017 data. 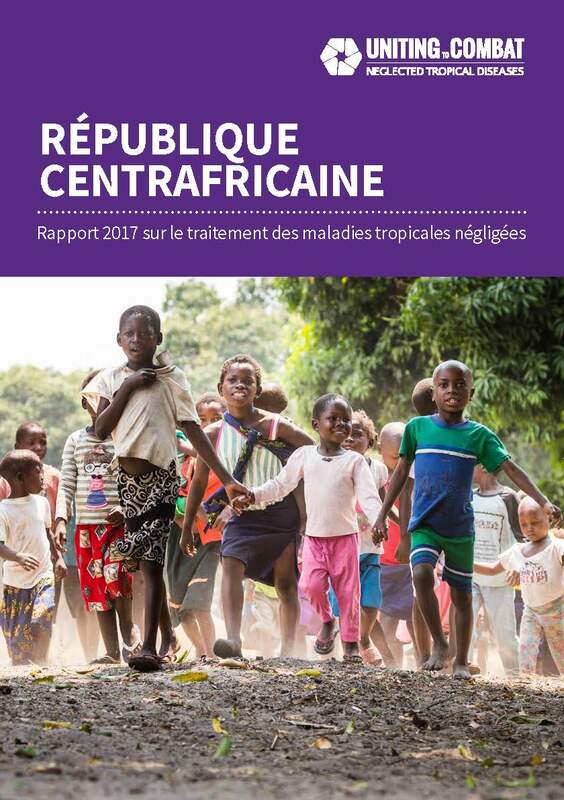 As a priority, the Central African Republic should submit the data on preventive chemotherapy (PC) coverage of bilharzia, river blindness and elephantiasis to WHO. Treatment coverage was 16% in 2016 and not reported in 2017. Treatment coverage increased from 18% in 2016 to 32% in 2017. Treatment coverage decreased from 40% in 2016 to 31% in 2017. Treatment coverage was 66% in 2016 and not reported in 2017. Treatment coverage was 50% in 2016 and not reported in 2017. The ESPEN portal (a World Health Organization AFRO region project) provides maps and district-level data for the preventive chemotherapy diseases in the Central African Republic.